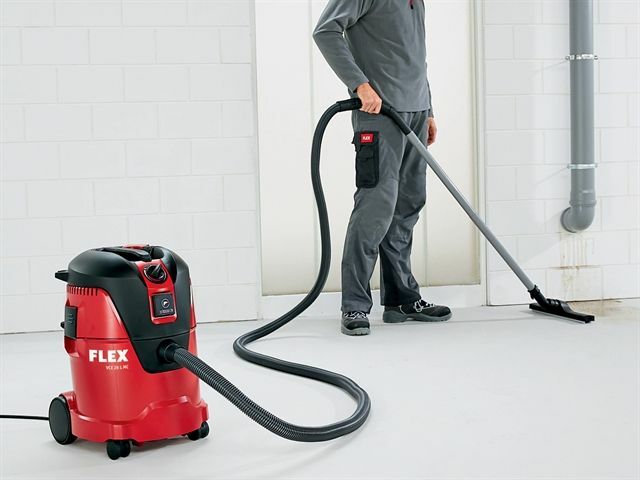 The Flex Power Tools VCE 26 L MC Safety Vacuum Cleaner is fitted with a manual filter cleaning system that has a handy and compact design making it easy to use and transport. 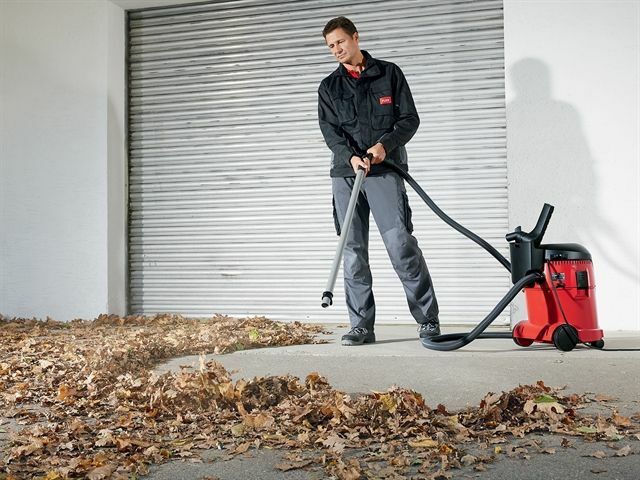 The high performance turbine ensures both a high suction capacity and a high vacuum, giving an excellent extraction result. By using manual filter cleaning, the dust deposited in the filter element is quickly removed with a targeted blast of air. 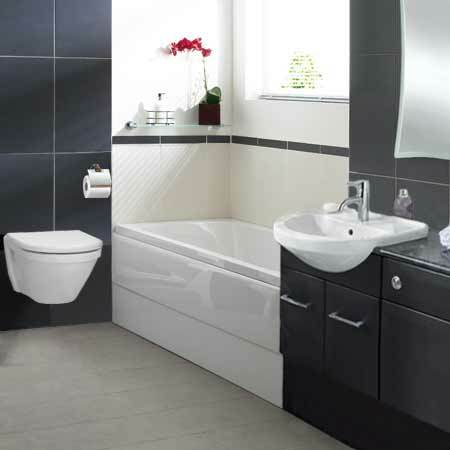 Levels are monitored to prevent malfunctions when drawing in liquids, thanks to the installed float valve. The soft start feature stops any voltage peaks at the start and the run-on feature (5 Sec. Overrun) empties any remaining dust in the hose. 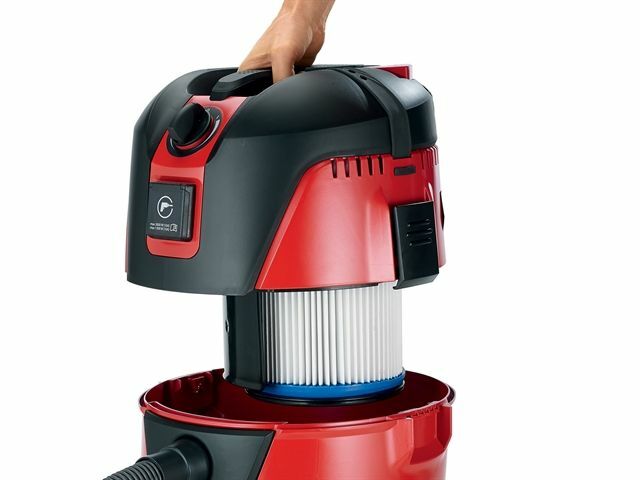 It can also be used as a dust extraction unit thanks to its appliance socket and electronic automatic on/off system. 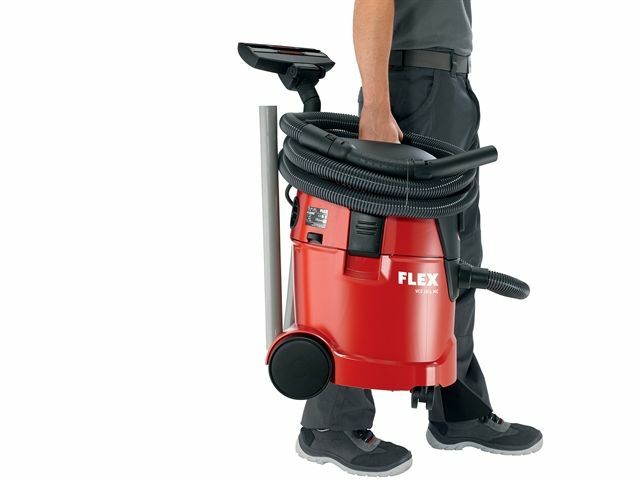 Other features include: large wheels with two swivel guide rollers, a blowing function, suction control that varies depending on the attached power tool, accessory storage on the back of the vacuum and a filter bag made from tear-proof fleece for optimum filling. Supplied with: 1 x Suction Hose 32mm x 3.5m with Elbow, 1 x Filter Element Class L/M, 2 x 0.5m Aluminium Suction Tubes, 1 x Combination Floor Nozzle, 1 x Round Brush, 1 x Crevice Nozzle, 1 x Upholstery Nozzle, 1 x Filter Bag, 1 x PR Waste Disposal Bag, 1 x Suction Pipe Holder, 1 x Cable Hook, 1 x Flexible Hose Strap for Hose Holder, 1 x Rubber Tool Brush and 1 x Box for Accessories Holder. Power Take Off: 100-2,600 Watt. Capacity: Wet: 16 Litres, Dry: 25 Litres. 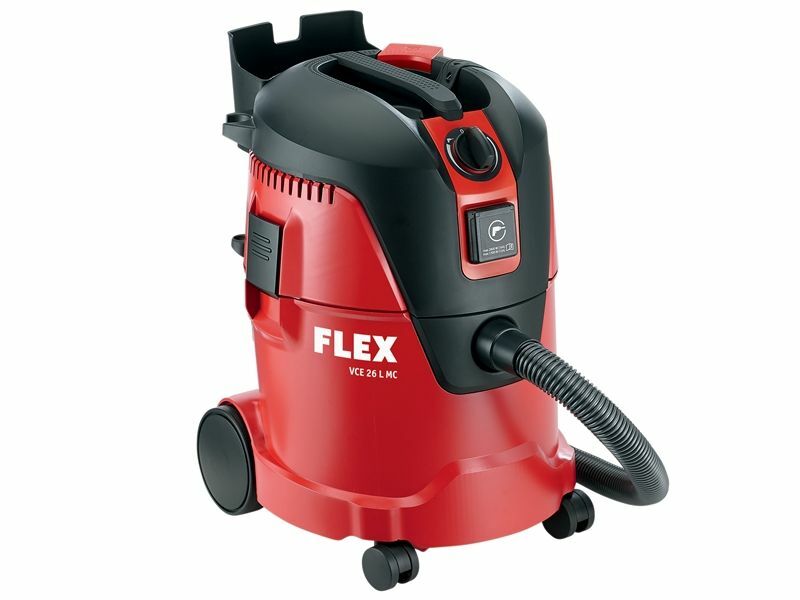 Max Air Flow: 3,600 l/min. Size (W x L x H): 397 x 377 x 533mm. 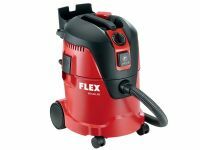 The Flex Power Tools VCE 26 L MC Safety Vacuum Cleaner 240 Volt Version.